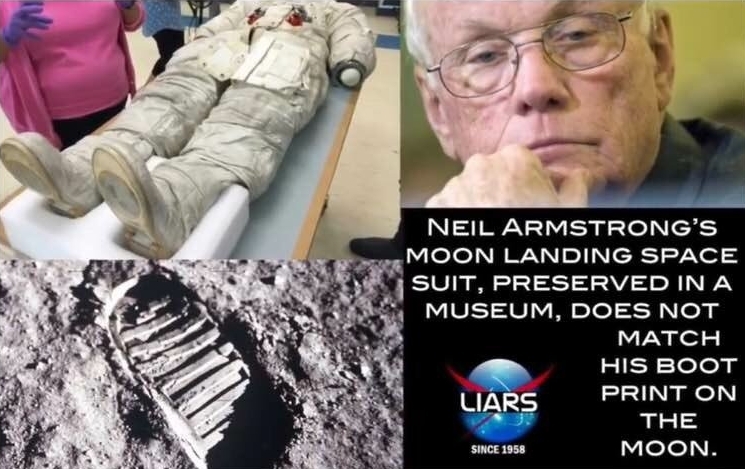 MOON HOAX: DEBUNKED! : 7.18 Why don’t the boot prints on the Moon match the spacesuit shoes? IN A NUTSHELL: Because the astronauts wore overshoes when they walked outside on the Moon. THE DETAILS: Doubters and conspiracy theorists are disseminating online the claim that the boots on the spacesuits used by the Apollo astronauts, currently stored in museums, don’t match the shape and sole pattern of the boot prints shown by NASA photographs (Figure 7.18-1). Figure 7.18-1. An example of the conspiracy theory. The suit photograph is sourced from this article by Phil Plait. Strictly speaking, this claim is actually correct: the boots of the Apollo spacesuits have a smooth sole and a heel, whereas the lunar boot prints have transverse ridges and no heel. 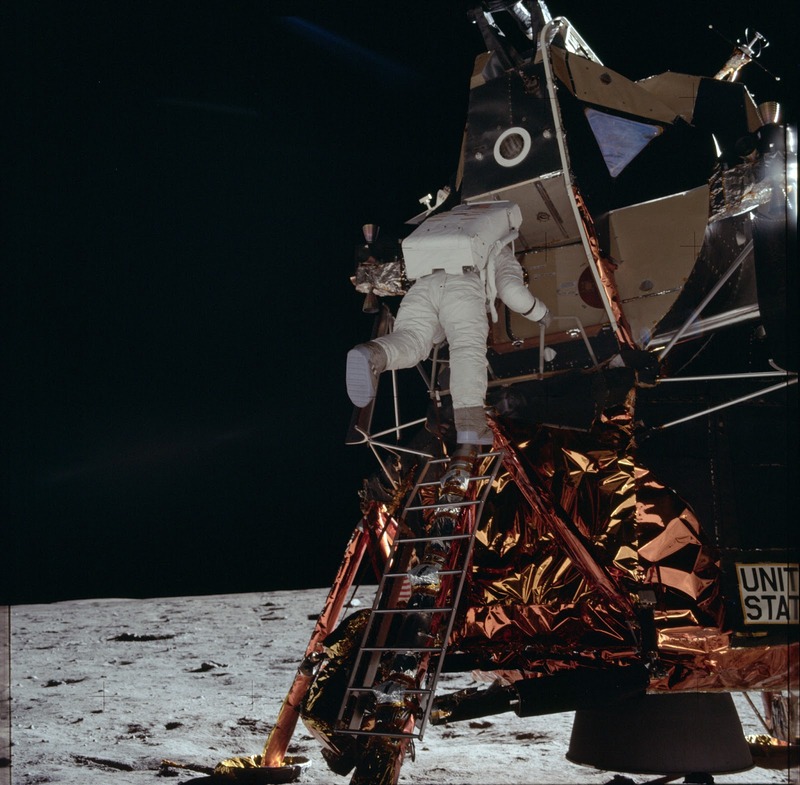 But the Apollo astronauts wore overshoes during their moonwalks, and those overshoes match the prints. Figure 7.18-2. Buzz Aldrin is about to set foot on the Moon during Apollo 11. NASA photo AS11-40-5866. Figure 7.18-3. 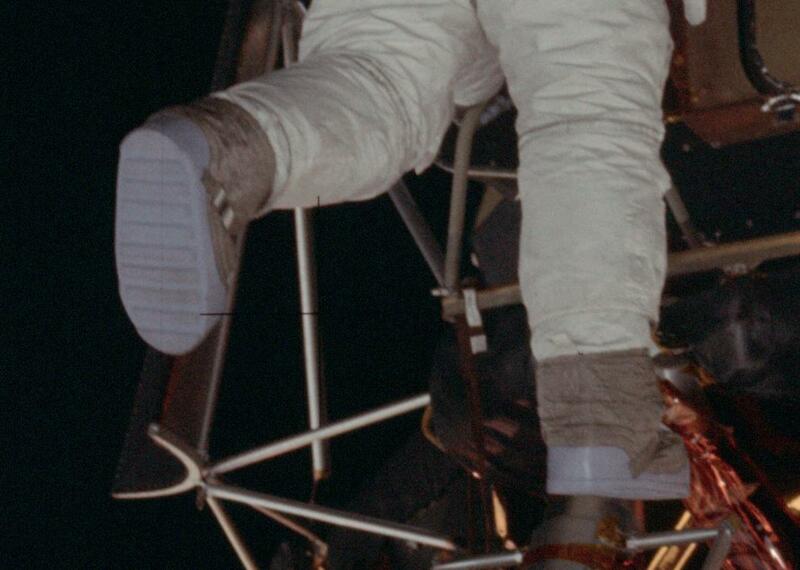 A detail of NASA photo AS11-40-5866, showing Aldrin’s overshoes. These protective overshoes were worn over the regular boots, which were integrated into the spacesuit in order to provide an airtight seal. The sole of the overshoes was made of silicone, the upper was made of woven stainless steel and other thermal protection materials. Their main purpose was to protect the astronauts from the temperature extremes of the ground (hot in sunlight, extremely cold in shadow) and from sharp rocks. The structure and engineering of the Apollo overshoes are described, explained and illustrated in exquisite detail in the book Moon Boot - The Story of the Apollo Lunar Overshoe by David H. Mather, which is available for reading online. Figures 7.18-4 and 7.18-5 show one of Gene Cernan’s overshoes, returned to Earth after walking on the Moon in the final lunar mission, Apollo 17. Figure 7.18-4. 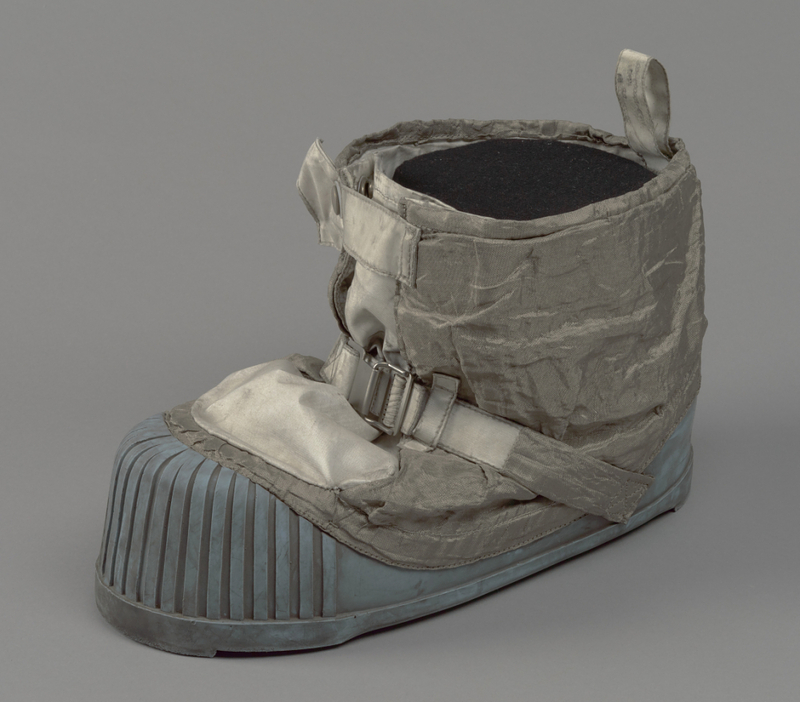 An overshoe worn on the Moon by Gene Cernan during Apollo 17, now currently owned by the National Air and Space Museum. Figure 7.18-5. 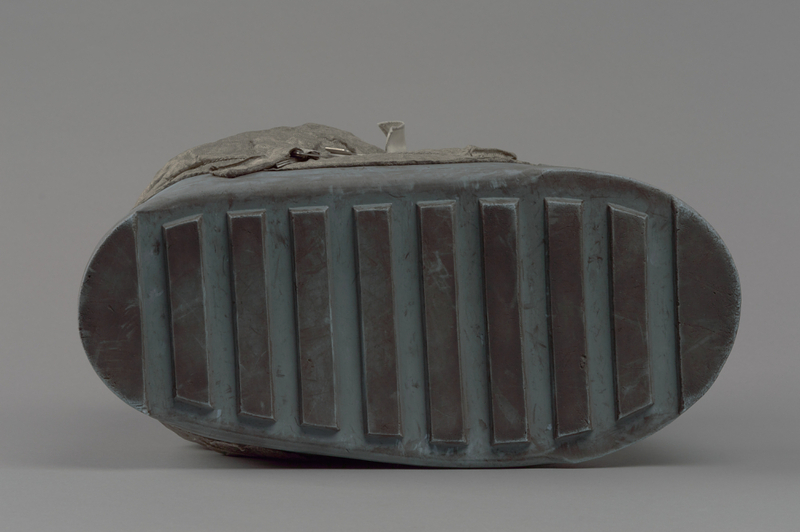 A bottom view of Cernan’s overshoe. More photos are available at the website of the National Air and Space Museum.